At MMPE LAW we have had numerous clients come to us saying they have heard that Missouri is a “50/50 custody state”. They are often surprised to know that this rumor just isn’t true. So, where did this mistaken belief come from? It started with a bill that was passed on August 29, 2016. This law encourages equal time, but does not mandate equal time, as some mistakenly thought. 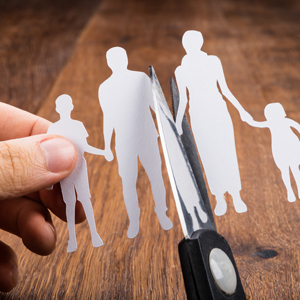 The mistaken belief appears to have begun with earlier drafts of the law that would have required a default parenting plan of a 50-50 custody split. In those earlier drafts of the law if one parent disagreed with equal time, the burden was on that parent to present evidence showing that equal custody was not in the best interest of the child. However, by the time the bill made it to its final form, it did almost the exact opposite. The new law makes it very clear that there should be no presumed default parenting plan, whether that be every other weekend for dad or even 50-50 split between the parents. The law encourages equal custody time between the two parents. However, such equal custody time is in no way mandated. Now a Judge must make findings of fact regarding why the Judge suggests a particular custody award, whatever that award may be. This change will have little impact on many Missouri Counties that already follow this process such as Butler and Ripley Counties. The law has the greatest impact on certain counties that, prior to the new law, did provide a standard custody schedule.